We’ve almost made it through another winter, and soon it will be open windows and sunshine again. What better time to refresh your space, declutter your home, and get organized than the start of a new season? Here are some spring cleaning tips to help you clear out and donate used items to a great cause – the AIDS Action Committee! With the weather warming up soon (we hope), you’re probably thinking about making the switch from winter coats to light jackets, or storing away your heavy wool sweaters for another year. Spring’s the perfect time to empty your closet of out-of-season clothes that you never got around to wearing. Whether you’ve changed your lifestyle or your fit, don’t hold on to stuff that doesn’t work for you anymore! There’s tons of reasons to donate used clothes you don’t wear, but our favorite? It’s a convenient excuse to make more room for your latest vintage finds and outfits from Boomerangs. Whether you’ve lived with roommates over the years or finally made the jump to moving in with your partner, you’re probably sitting on a lot of duplicate items and extra stuff. How many pots and pans does one kitchen need? Go through your cabinets and decide if you’ll ever use 20 different dinner plates when your table only fits 6 people. Instead, make some more room for the cookie mixer you’ve always wanted, or those vintage Pyrex bowls that will add a splash of color. Did Grandma get you new sneakers that are more Seinfeld than Yeezy? Did you already have a hardcover copy of that hot new bestseller that your Secret Santa saddled you with? Has that new blender been sitting in your kitchen cabinet unopened for two years? Instead of trying to awkwardly ask if they kept their gift receipt, donate it! It will end up in the home of somebody who will use it, and you don’t have to feel ungrateful knowing that gift helped fund HIV/AIDS services right here in your state. Are you still sitting on all of the CDs you’ve already imported into your music library? Are your DVDs collecting dust while you Netflix and chill every night? Free up some much-needed shelf space and bring us your movies and music. You can still rifle through our selection for more new-to-you CDs and films, and even donate them back once you’ve listened or watched – it still costs less than Redbox or On Demand! Spring cleaning is a great opportunity to throw some paint on the walls, get new curtains, or freshen up your home. You’ve always dreamed of having an art-deco vanity like the one you saw at Boomerangs – why don’t you redesign your bedroom with that as the centerpiece, and donate your old furniture? We have a truck service for you to donate used furniture, so you don’t even have to leave your house! Check out our donations page to learn more, and book an appointment for your furniture pick-up today. It’s hard to let go, we know – but if you aren’t using something, put it to a good cause! 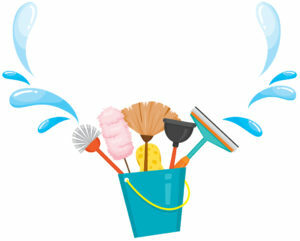 Spring cleaning is a great opportunity to breathe new life into your home. Check out this list of items we can and can’t accept, and head down to your local Boomerangs with a carload. You can rest comfortable knowing that when you donate your stuff, you’re providing funds to life-changing and life-saving programs – from HIV testing to mental health counseling to housing. Best of all, these spring cleaning tips will free up space for new things that you will actually use, wear, and love – all from your local Boomerangs store!